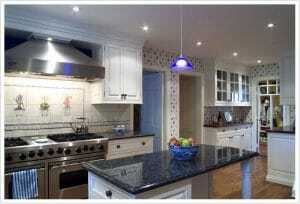 Why Blue Pearl Granite Countertops in Dallas? For homeowners like you, the kitchen is without a doubt the heart of your house. Hence you want it to be as efficient and inviting as possible. This is also why homeowners love to buy and install granite, one of the best quality countertops Dallas. But have you actually considered blue pearl granite countertops? If not, then perhaps it is time to learn more about its quality and the benefits it offers. 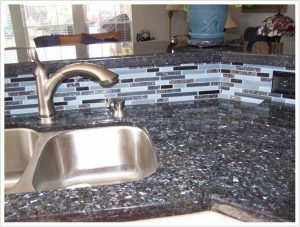 Below are reasons why granite countertops in blue pearl continue to be a popular choice on the market. Check them out! As much as possible, you want your kitchen to look vivid in the eyes of your family and guests. Apparently, blue pearl speaks of superior quality and characteristics, with one being perfected by a rich-looking color. It shades are, in a way, add luxury look. 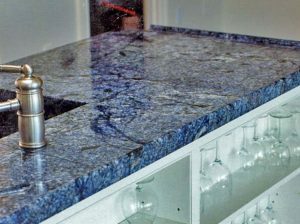 Sure, granite is known for its elegance, but blue pearl granite is on a whole new level. Yes, that is right – Dallas’ blue pearl granite countertops are highly stylish. Apart from making your kitchen look nice, it gives the area the much-needed sophistication. Remember: You want your kitchen to look good not just in appearance but also in the overall design. And what better way to achieve these than installing granite blue pearl. With a plethora of color to offer, it can match any design you would want to materialize. It simply fits many different design styles. For years, granite countertops in blue pearl have remained to be a popular choice among homeowners. And this only shows that it has never dwindled down in terms of style. From a basic aesthetic to a more sophisticated design, blue pearl granite can easily match it. More importantly, this gives your home the right quality to increase its value in case you decide to put it out on the market. Of course, you are not just in it for the beauty and looks. You also want a countertop material that is highly resistant to scratches. Apparently, blue pearl granite countertops in Dallas offer unfathomable durability. It can last for yours given it is properly maintained and taken care of. This kind of granite is so durable that it is likely for your knife blades to get dull. With that being said, you will not have to worry about rough cooking. Are you looking for blue pearl granite countertops in Dallas? Contact us now at Hard Rock Imports. We will help you set up an appointment, so you can pay us a visit and have a look-see at our selection of blue pearl granite. Call us today!